An Invoice Template is included for billing your clients for services. Use this form for product, service and consulting/consultation invoicing. This Invoice Billing Template is included in editable Word format that can be customized in Word or by using the included Wizard software. How do you write a Invoice Billing Template document? What you are billing client for here. Make all checks payable to Company Name. Total due in 15 days. Overdue accounts subject to a service charge of 1% per month. 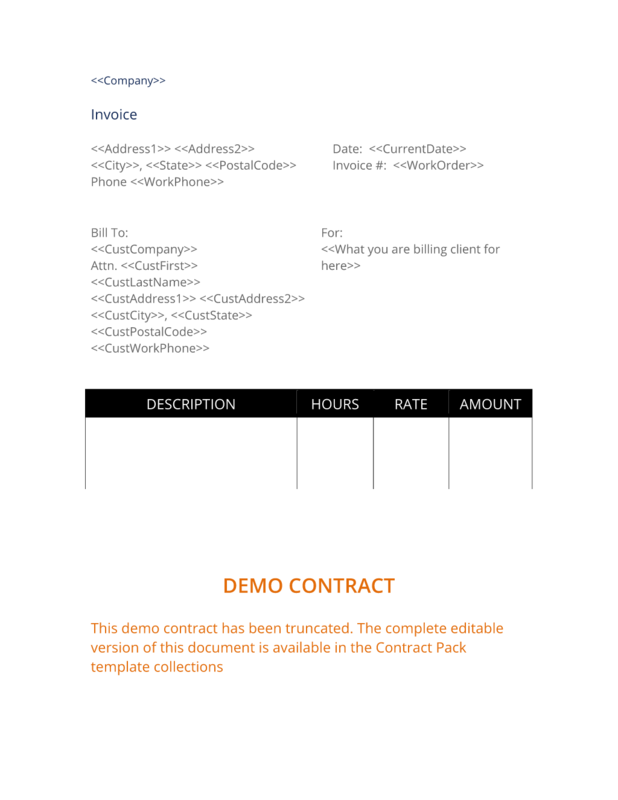 The complete Invoice Billing Template - with the actual formatting and layout - is available in this Contract Pack.